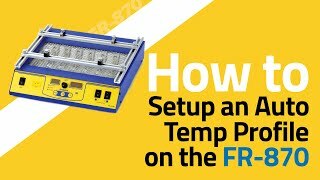 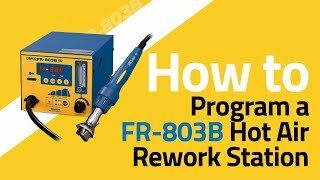 The FR-300 has the performance of an industrial desoldering station that can be used on the workbench or in the field. 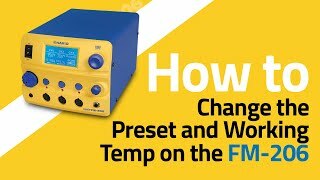 Features a new quick-change nozzle assembly. 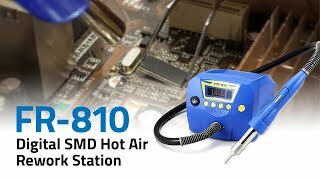 The FR-810 SMD Hot Air Rework Station has a self-contained turbine air source and a powerful ceramic heater that delivers a hot air stream up to 1120В°F. 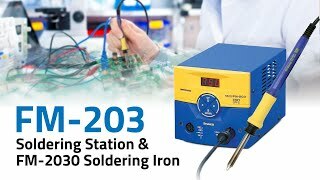 This station is excellent for all SMD soldering and desoldering applications. 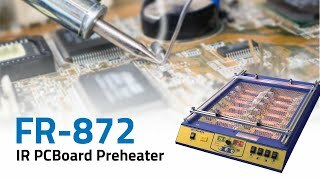 The FR-872 is a low profile, bench-top preheater designed to precondition circuit boards for soldering and desoldering more easily and with improved results. 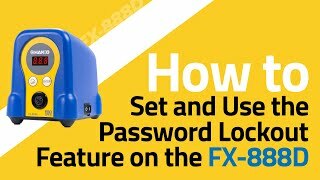 The FX-100 has a variety of features that can be accessed and set up with the display menu. 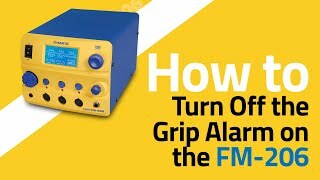 Learn HOW TO engage "boost" mode, set up password lock out, auto power off and sleep function. 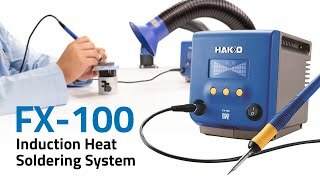 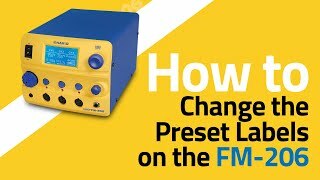 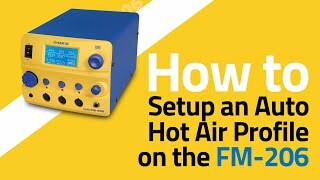 Experience the power of the next generation of RF (induction heat) soldering with the Hakko FX-100 soldering system. 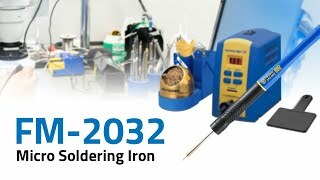 The FM-2032 micro soldering iron extends precision micro soldering capabilities to a variety of HAKKO soldering and rework systems. 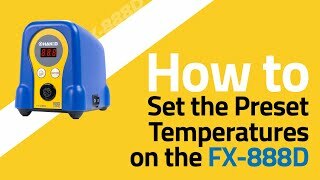 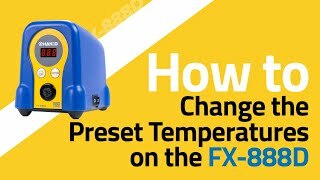 The FX-888D is a low cost digital soldering station with user selectable preset temperature control, password protection, and low temp alarm. 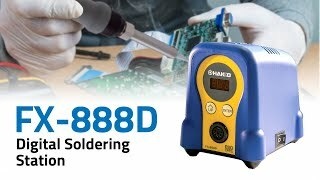 After reflowing the soldered connection and the component has been removed from the PCB, residual solder remains in the through-holes. 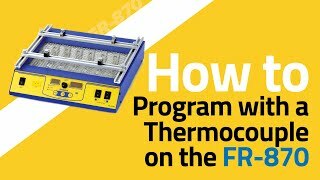 The 486 removes the solder with an air hood tool. 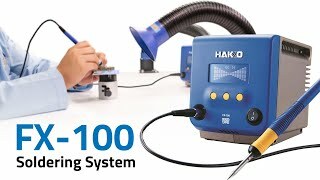 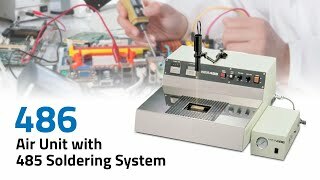 Use the 486 with the Hakko 485 soldering system.